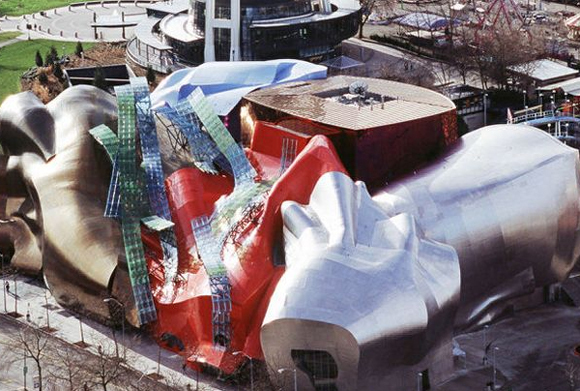 The Experience Museum Project (EMP), also known as the Rock and Roll Museum, is a brash mashup of metallic forms, a one-of-a-kind building set in the predominantly mid-century architecture of the 1962 World’s Fair Grounds in Seattle, now known as Seattle Center. Rock and roll, since its inception, has gone through continuous evolution of pushing the mainstream’s comfort envelope. When it first arrived on our shores, it was considered obnoxious, if not scandalous by adults, and seductive by the young. 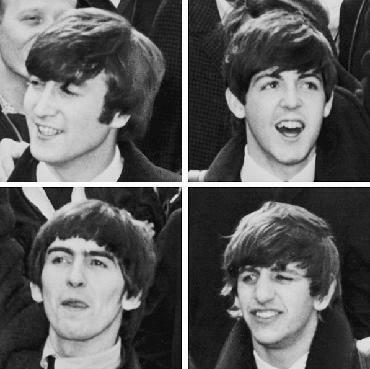 The early Beatles‘ hair was regarded as radical because, compared to the prevailing norm, it was long and tousled, though in today’s context it looks positively tame. “Frank Gehry,” remarked British-born, Seattle-based writer Jonathan Raban, “has created some wonderful buildings, like the Guggenheim Museum in Bilbao, but his Seattle effort, the Experience Music Project, is not one of them.” New York Times architecture critic Herbert Muschamp described it as “something that crawled out of the sea, rolled over, and died.” Forbes magazine called it one of the world’s 10 ugliest buildings.Others describe it as a “blob” or call it “The Hemorrhoids”. The architect and builders went to great pains and great expense to make a building seemingly without straight lines, vertical planes, or neutral colors, subverting our understanding of what “normal” buildings are like. The EMP is says “I was born to be wild.” Like rock and roll, it is loud and not easy to ignore. It is flamboyant. 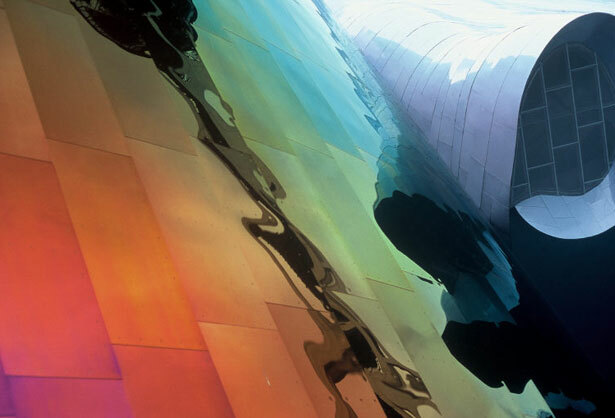 Its metallic surface has psychedelic shifting colors and reflections. It gets much of its power from its sheer novelty. Like rock and roll. To this day, it is the only building of its kind in our city. It’s no longer as shocking to us as it was at first, though it is hard to imagine a time in the future when this boisterous object will simply blend into the background. After a dozen years since it opened, it continues to attract attention with its tremendous energy and presence. I think other buildings fantasize about letting it all hang out, and being the EMP. First image courtesy of Zahner metal fabricators; second image courtesy of Wikipedia; third and fourth images courtesy of Zahner metal fabricators. 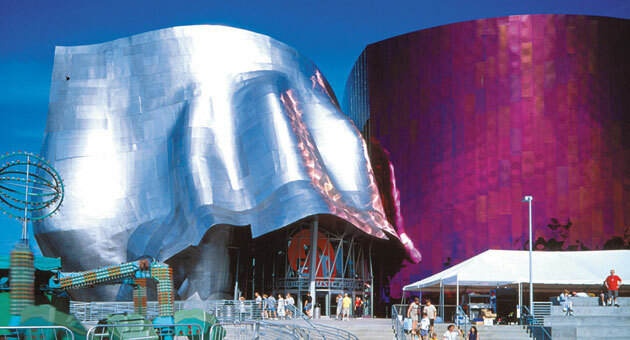 This entry was posted in Architecture Whisperer, Meaning and tagged EMP, Experience Music Project, psychedelic building, Rock and Roll architecture, Seattle by Kraft. Bookmark the permalink. I love the EMP. It’s a building that still brings a smile to my face every time I see it. That is quite a feat for a building. It exudes excitement!